1. 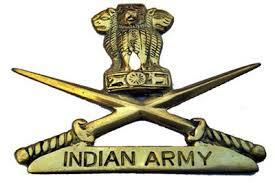 Soldier General duty - SSLC/Matric with 45 % marks in aggregate and 33 % in each subject. No percentage required for higher qualification i.e 10 + 2 and . above, however, minimum 33% in each subject required. 3. Soldier Nursing Assistant/ Nursing Assistant Veterinary - 10 + 2/intermediate exam pass in Science with Physics, Chemistry, Biology and English with 50 % marks in aggregate and min 40 % in each subject. OR In case the candidate has a B.Sc Degree with (Botany/Zoology/Bio Science) and English, the stipulation of percentage in Class 12'h is waived off. However, the candidate should have studied all the four specified subjects in Class 12'h also.